In the province of British Columbia there are a number of tax benefit programs that are designed to help people suffering from disabilities. These offer money or discounts to people who suffer from permanent disabilities that restrict their ability to function normally in day to day life. There are 4 main programs each designed to assist with a specific taxable source. Be a permanent resident of Canada or a Canadian Citizen. Be an eligible occupant or the owner of the residence. Pay the property taxes for the residence to the province or a municipality. Be the registered owner or lessee of a motor vehicle. 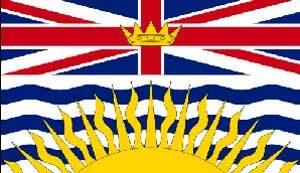 Have lived in British Columbia for at least 1 year. Permanently dependent on a wheelchair. Permanent and complete functional loss of lower limbs. Permanent mental disability to the extent that it may become dangerous for you to use public transportation. It is important to note that you can only collect a refund for fuel purchased for one vehicle that you own. Be likely to last for at least two years. Significantly and directly affect your ability to perform daily activities. Require the significant help of another person, or an assistance animal as a result of the restrictions of your disability. You lease the property from the registered owner. The property is registered in the name of a business. There is a certificate of pending litigation on the property. The Province of British Columbia offers many opportunities for persons with disabilities to ease the financial burden of restricted living. With these programs a person with a disability can live comfortably without having to worry about how they will put gas in their car or pay for the roof over their head.